After we filmed the somewhat controversial Ford Fiesta ST vs. BMW E46 M3 video a month or so back, we as a group were so smitten with the Fiesta ST's ludicrous value for money proposition that our cameraman and resident mad scientist Thaddeus Brown went straight to the dealership and traded in his 2006 Mini Cooper S for one. And in the first two months, it's been an incredible car. But the kind folks at COBB Tuning thought it could use a little more. We love the Fiesta ST because it can hold an obscene amount of camera equipment, gets great fuel economy, can hang with supercars in the twisties (which means better chase cam shots for you), and is as much fun as any $25,000 car ever produced. 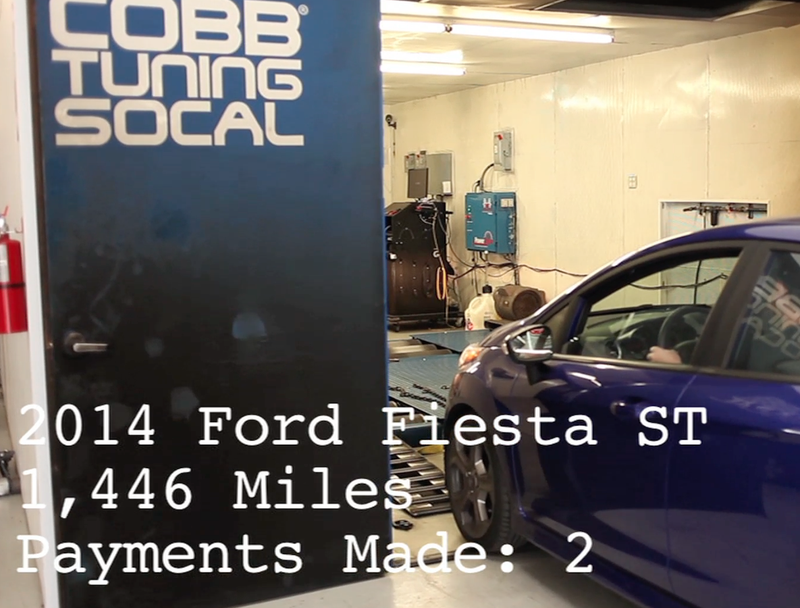 As we'll see in the video, Ford is majorly sandbagging on the numbers for the Fiesta ST, something I suspected all along, and 5 minutes of reflashing from COBB unleashes even more power.